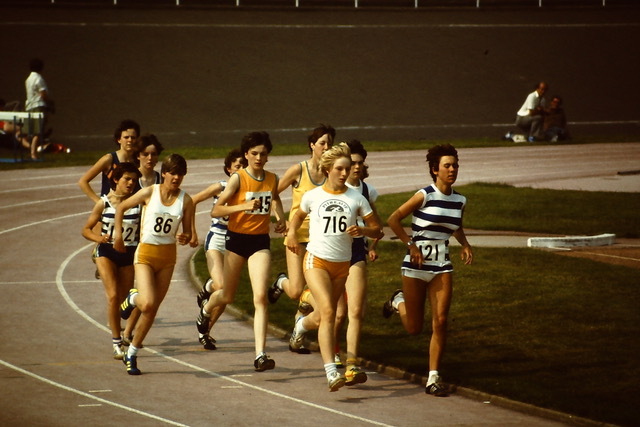 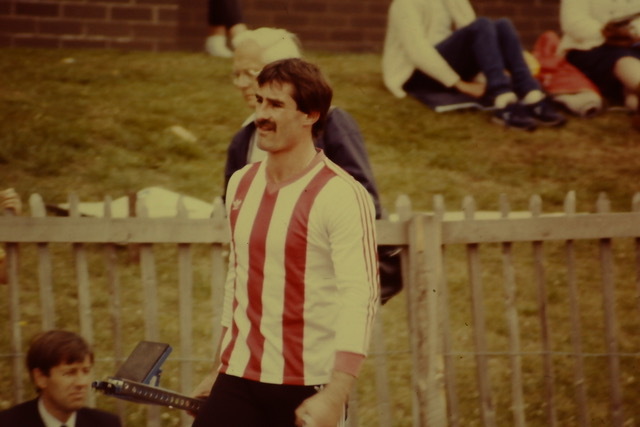 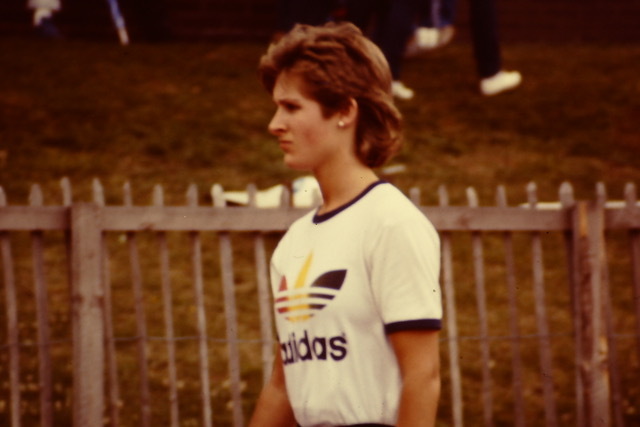 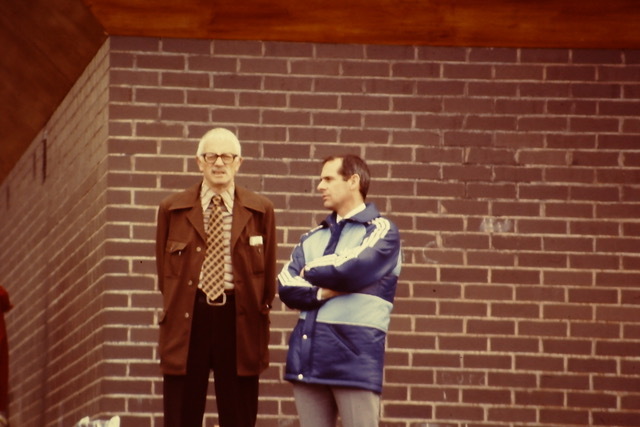 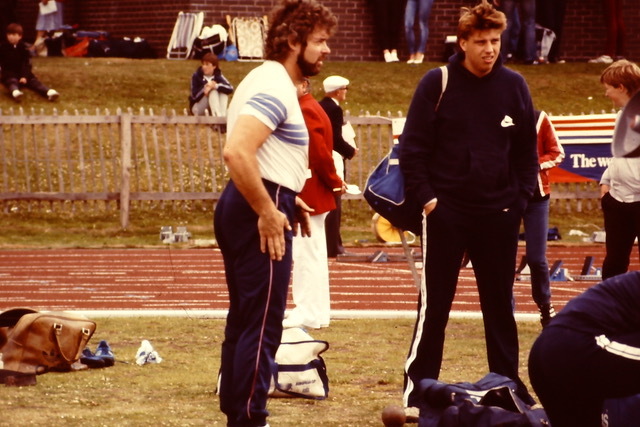 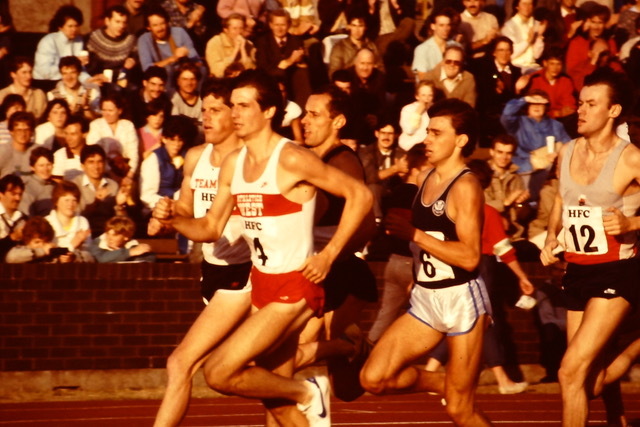 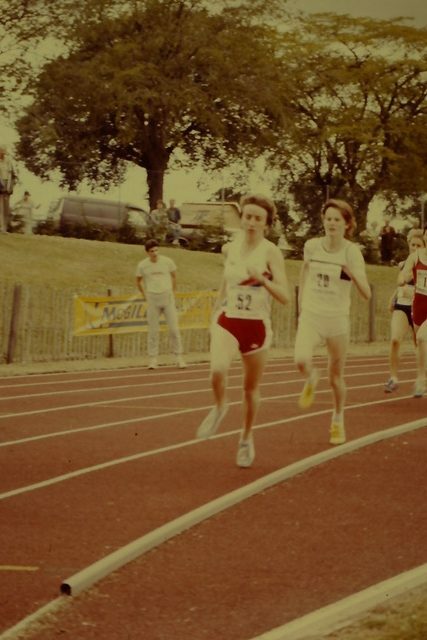 There are pages of Alastair’s photographs on www.anentscottishrunning.com but we have recently received some more from the 1970’s and 80’s which are reproduced here with some of his comments where they are appropriate. 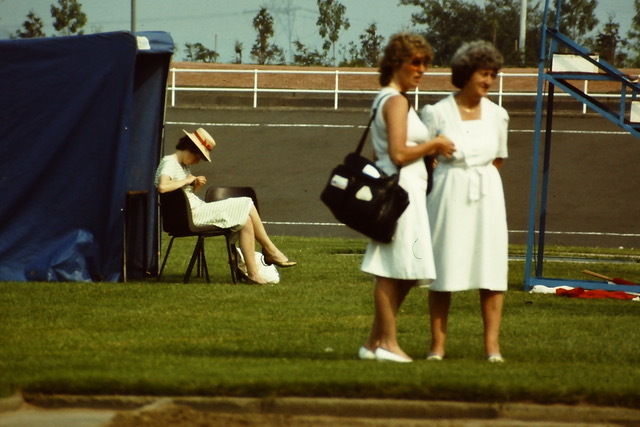 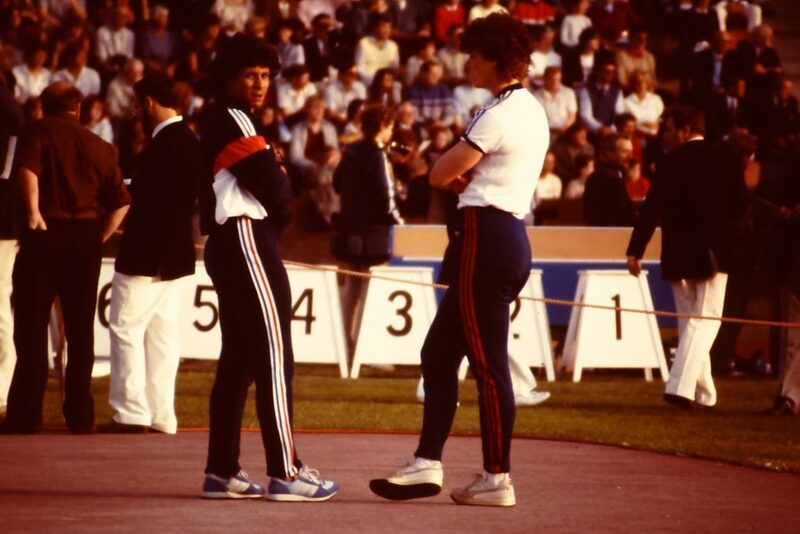 Alastair says: Former 400mH Internationalist Sarah Booth lounging about in her boater whilst Hilda Everett and Isobel Robertson have a natter. 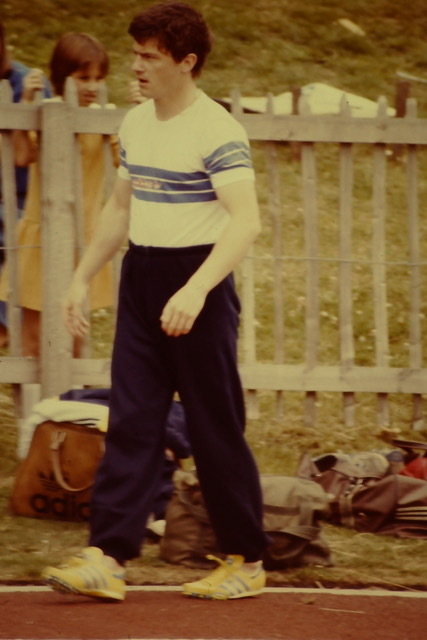 Alastair says: The slide is marked as being Moira. 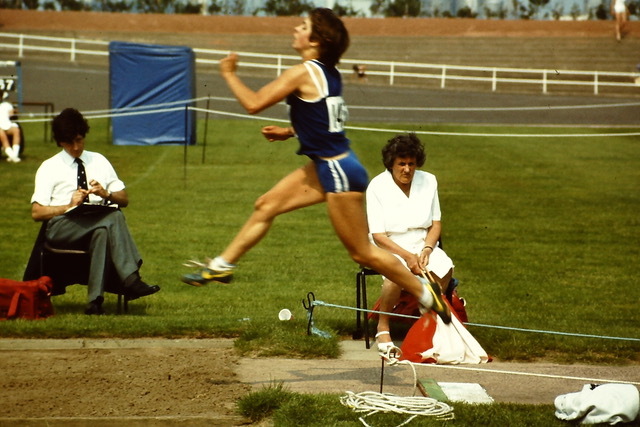 I seem to recall she started out using the Western Roll before the Fosbury Flop came into fashion. 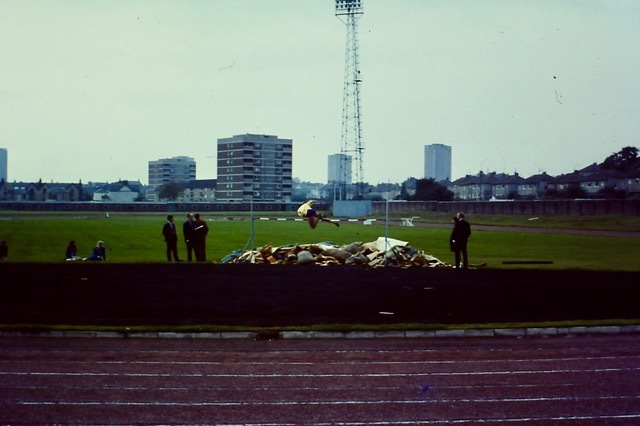 A good example of how basic high jump landing areas used to be. 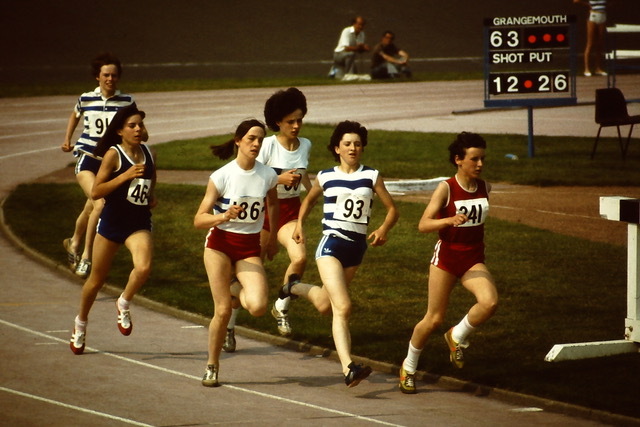 From the clipboard in the hand of the man to the left I guess it was a competition, possibly a pentathlon as there is another photo of the shot which, whilst not marked as Moira Walls, is someone of her build in the same Western colours. 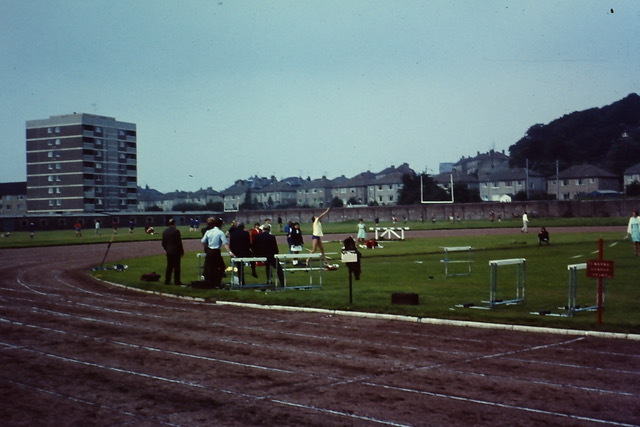 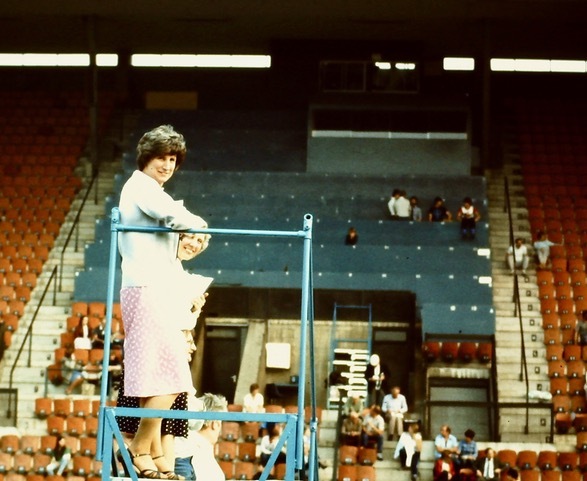 Still Scotstoun – maybe Moira putting the shot. 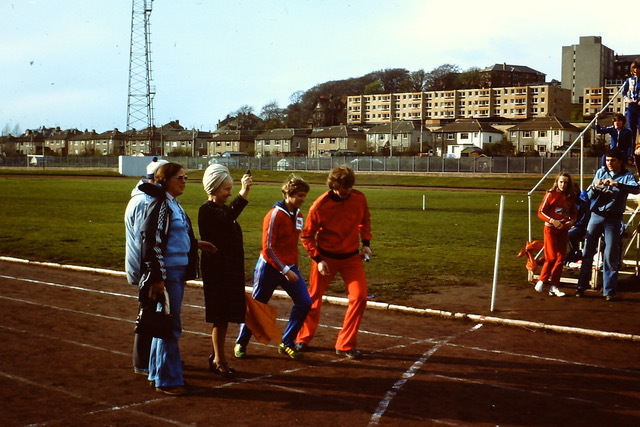 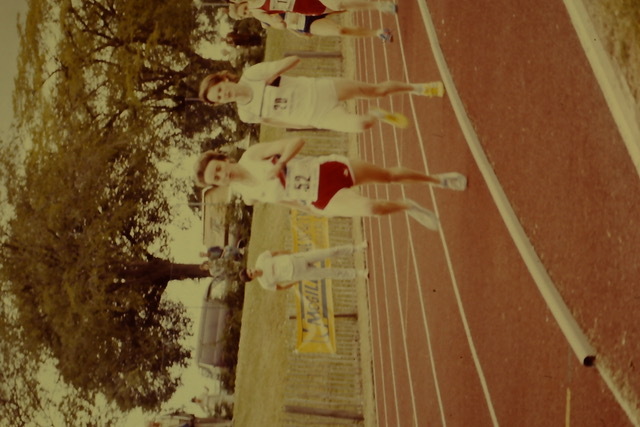 1977 Scotstoun: Alastair says: This one features Evelyn Smith, Connie Methven, Christine McMeekin and Alan Rough. 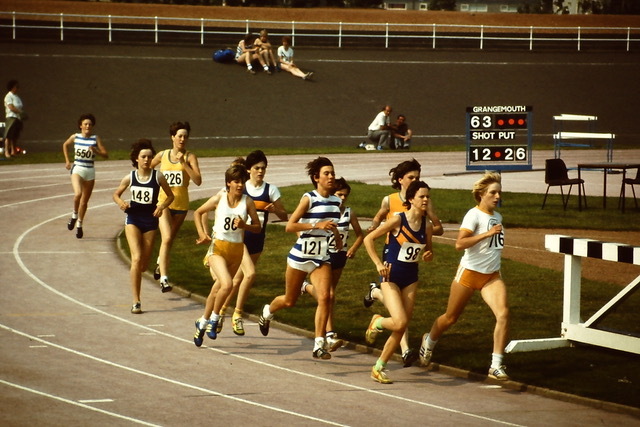 Behind Evelyn in Tom Dunkeld.